I remember you, I love you. It the last day of recording Angel Baby Lullabies. The night before, I had been reading the wonderful book “After Finley” by Mel Scott. Mel and her husband buried their little angel Finley under a Hawthorne tree. The recording sessions had been going well but there was still something missing. I just couldn't put my finger on it but there was a quiet voice gently nagging at me. The music just wasn't quite complete. Then, I was warming up my voice in the shower (yes I love singing in the shower) and was almost ready to go, when the traditional song “Wild Mountain Thyme” came into my head. 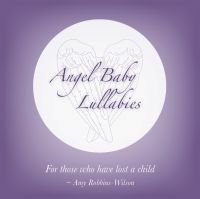 In that instant, it became "I Remember You”, a tribute to all families who honor their angel babies by remembering them and by allowing them to live in their hearts, and Angel Baby Lullabies was finally complete. For the traditional lyrics, check out the Wild Mountain Thyme page.